The Australian Dollar to US Dollar (AUD/USD) exchange rate fell during the local session amid fears that Standard & Poor’s might cut Australia’s AAA credit rating. 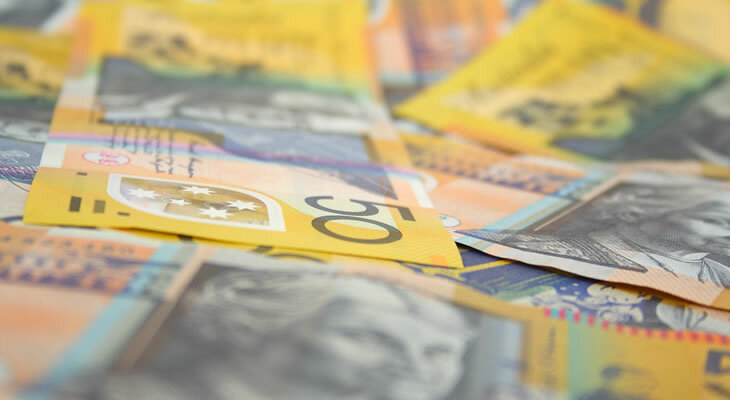 The Australian Dollar to US Dollar (AUD/USD) exchange rate initially advanced during the North American session as the Federal Open Market Committee published the minutes from its latest policy meeting. For months bets that the FOMC will vote to increase borrowing costs in the first half of this year have been lending the ‘Greenback’ support. However, this batch of minutes indicated that the Fed might push back rate adjustments in light of the current global economic climate. The prospect of an increase in interest rates occurring later in the year initially supported higher-risk currencies like the Australian Dollar, but local reports later saw the South Pacific asset give up these gains. The Australian Dollar lost nearly half a cent to trade in the region of 77.86 US cents after an article in The Wall Street Journal implied that major ratings agency Standard & Poor’s might cut Australia’s AAA credit rating if the tense global economic situation escalates to a major event. During the North American session the Australian Dollar to US Dollar (AUD/USD) exchange rate could fluctuate in response to the publication of the US Initial Jobless/Continuing Claims figures. The US Leading Indicators measure and the Philadelphia Fed index will also be of interest. Australian data is in short supply before the weekend but a final flurry of AUD/USD movement could be triggered by the US Markit Manufacturing PMI, which is set to show a decline in manufacturing output. Laura Parsons is a currency analyst working in the financial sector, writing financial articles for a number of respected web-based publications.